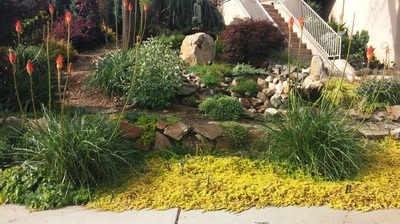 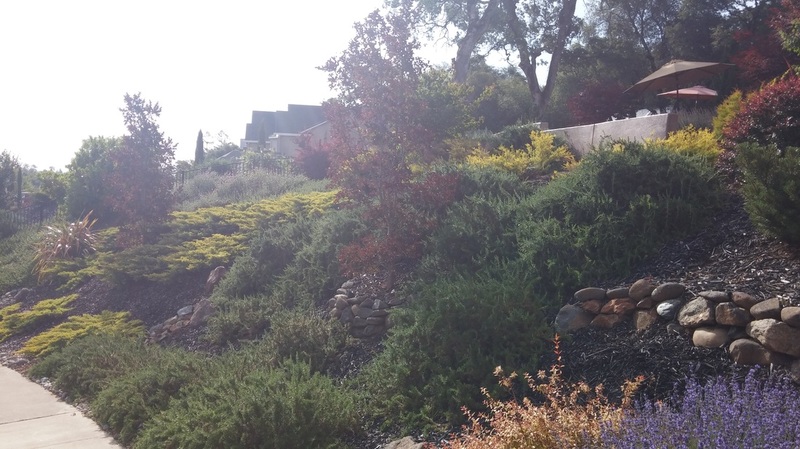 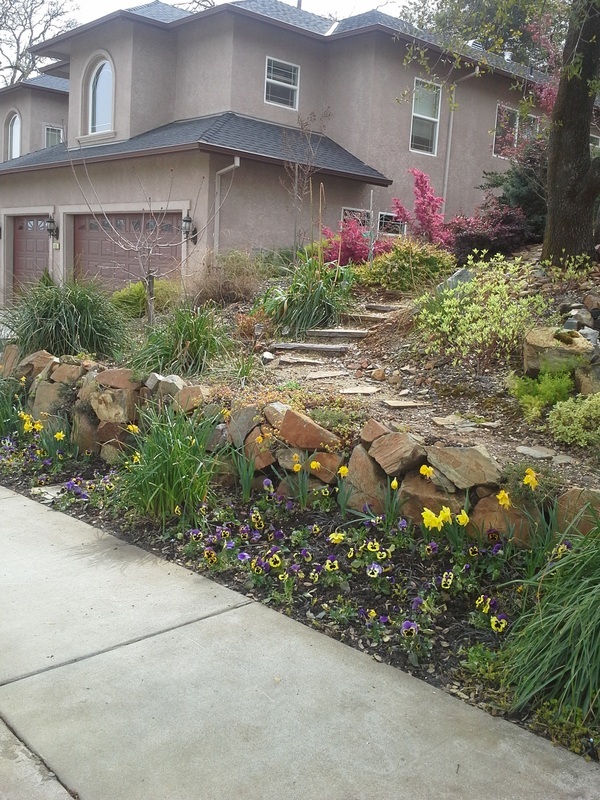 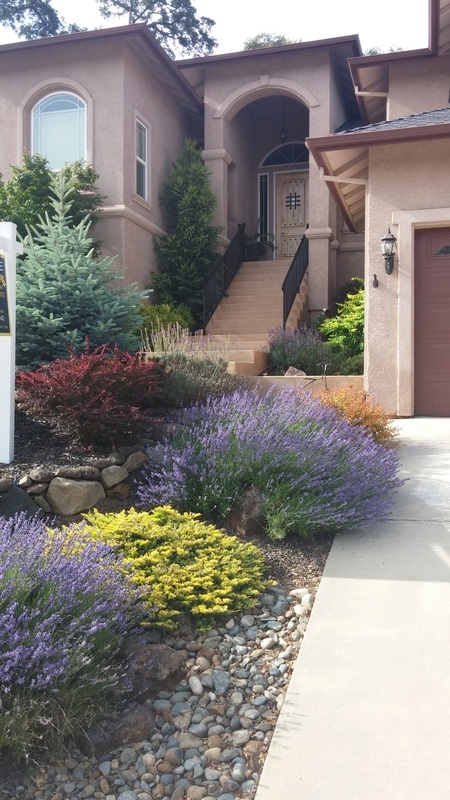 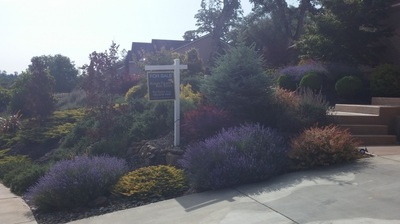 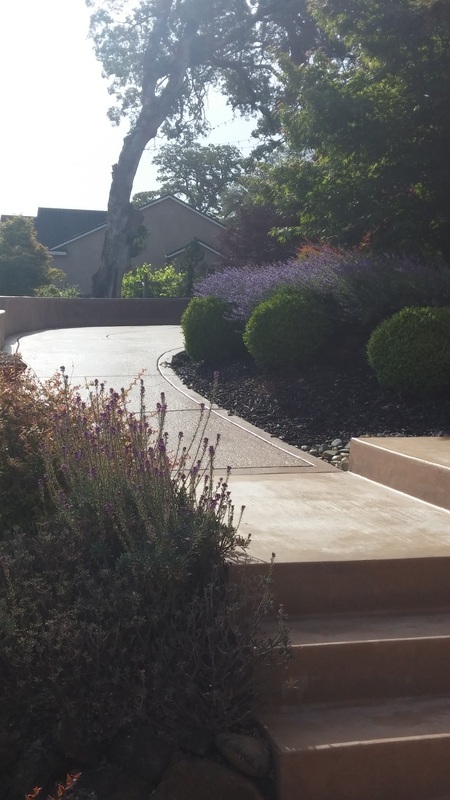 This project is a large residential landscape project in Newcastle, CA. 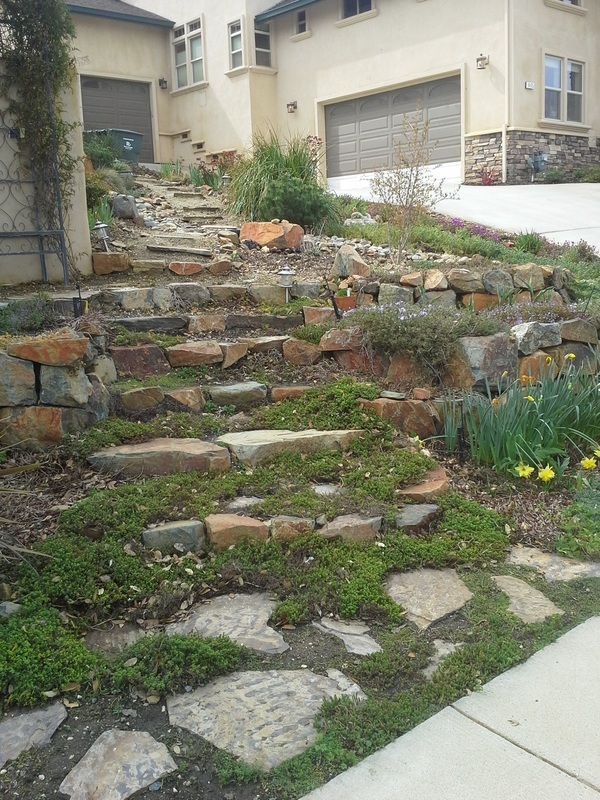 We installed dry stacked boulder walls, colored salt finish concrete walkway steps and patios. 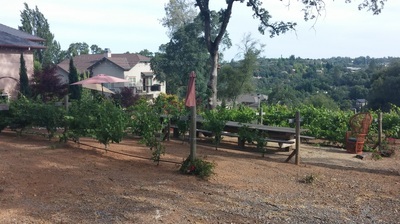 In addition, we installed a vineyard with the bench seating areas, flat stone rock walls, and dry stacked natural stone walls.